As a quality provider of sustainable construction services and an employer that is committed to equality, diversity and a healthy and safe work environment. Health and Safety is integral to our business activities and we recognise and understand our responsibilities. 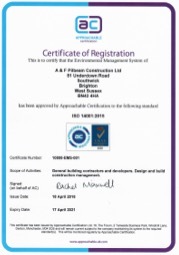 We adhere to legislation including the Health and Safety at Work etc Act 1974, and we are registered with CHAS, Constructionline and NHBC. We strive for continuous improvement in our standards and aim to achieve a safe, risk free working environment. We have produced a comprehensive Health and Safety Policy and all management and site staff receive full training, which is constantly monitored and updated and refresher courses undertaken. Our policy is reviewed annually and revised to reflect any changes in legislation. 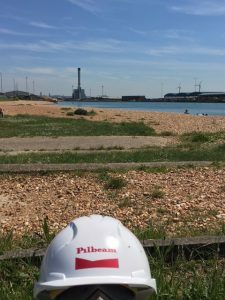 As a company we expect our employees, subcontractors and suppliers to comply with our Health and Safety Policy and to take individual responsibility to ensure that work is carried out to a high standard, without risk to themselves or others. Consultation with employees, clients and our external consultants is an important part of our practices and it is through this process that we set targets to monitor our methods and performance. The importance of protecting our environment is a key responsibility of our company. We are committed to operating responsibly, not just to comply with regulations and codes of practice but to play our part in safeguarding the environment for the future. Our environmental commitments are integral to the daily running of our business. Our aims to increase recycling, minimise waste, reduce our carbon footprint and efficiently manage our business are just the start of our efforts to reduce our impact. The policies are reviewed annually and amended where necessary. Alex Barron – The Edward James Foundation Ltd: West Dean Biomass.